Method: Fry the onions after cutting them in the olive oil. Cut your pumpkin in small cubes and add them in the oil. Fry on small fire. 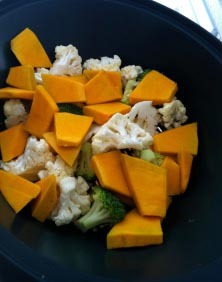 After boiling the broccoli and the cauliflower add them in the frying pan with the onions and pumpkin. Towards the end, cut and add the garlic and the parsley. 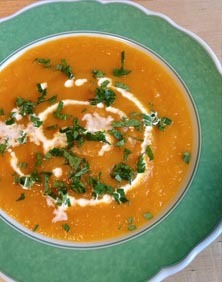 Method: Heat the olive oil, cut and then add inside the onion and the grated pumpkin. Add the water and keep cooking on small fire until the ingredients become soft. Towards the end, cut and add parsley leaves. Enjoy your meal!